Uniting College is the Uniting Church’s college for discipleship and ministry training, in partnership with the Adelaide College of Divinity and Flinders University. The existing school building was converted into a contemporary theological school and library, suitable for modern teaching practices. Bright highlights in the new library finishes, celebrate Uniting College’s next generation of learning. Oversized glass sliding panels transform interior spaces on demand, and allow opportunities to configure each area to suit the variety of team and individual activities required. 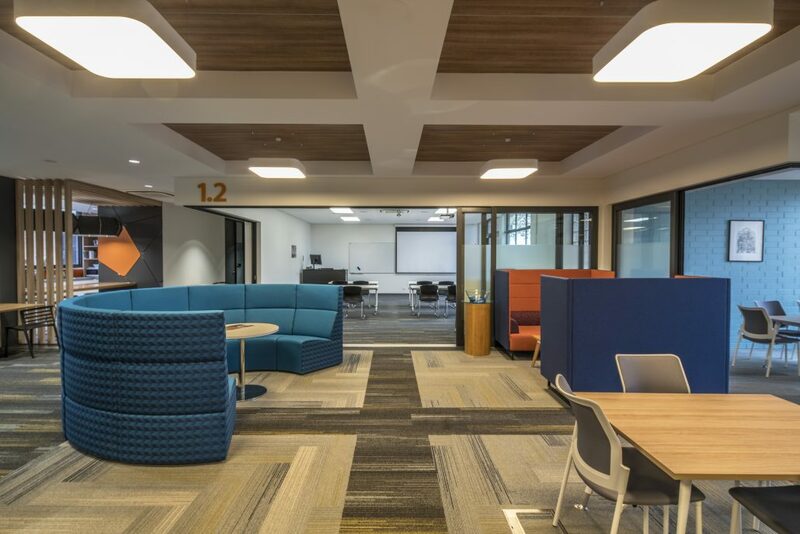 Throughout, Breakout spaces sit alongside collaborative hubs and large open areas to provide a variety of teaching options and opportunities.